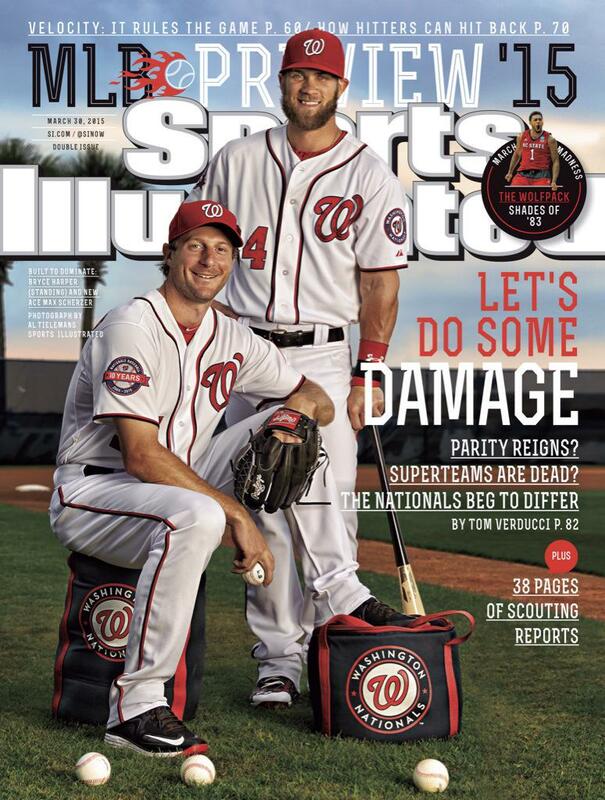 Posing on the cover of the Nationals edition are Bryce Harper and Max Scherzer, who was announced yesterday as the team’s opening day starter. Sports Illustrated will publish four different covers for their 2015 MLB preview issues. Washington then went 86-76 and missed the 2013 playoffs. Bryce Harper also appeared on the cover the week of February 25, 2013.